It’s hard for me to believe I’m just about to wrap up my graduate school program in Organization Development! I have learned so much through my participation in this program: how to most effectively serve organizations as a consultant, how to build stronger teams, how to understand and change an organization’s culture and how to facilitate more effective collaboration between organizations to name a few things. As I prepare for our final session in June, I want to share the 11 books that most influenced my work as an Organization Development (OD) practitioner. Given I have more studying to do, my descriptions will be brief! 1. 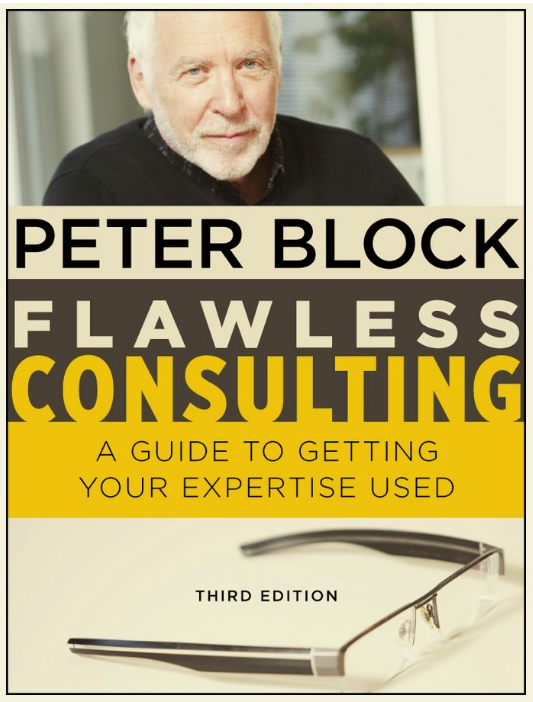 Flawless Consulting: Your Guide to Getting Your Expertise Used (Peter Block): This book really evolved my own consulting practice towards a partnership model with clients where we jointly diagnose and decide what’s the best action to take to move an organization forward. The book goes through different steps in the consulting process and I would highly recommend it to anyone in the consulting field. 2. 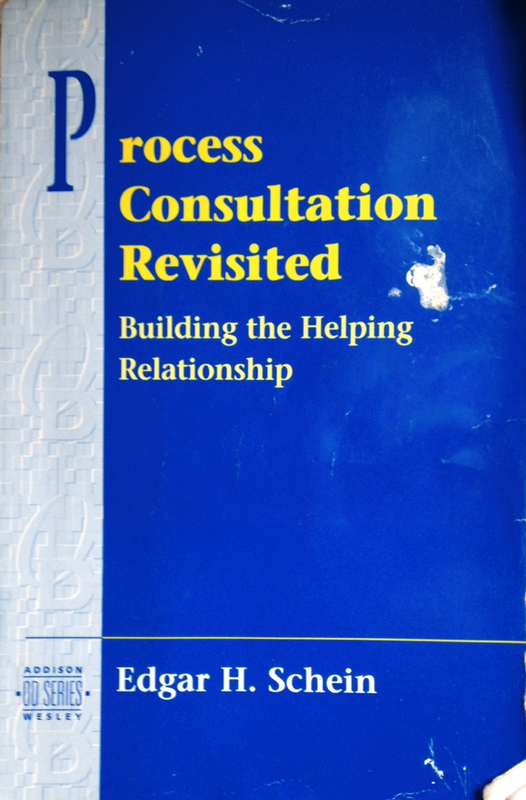 Process Consultation Revisited (Edgar Schein): Like Flawless Consulting, this book dives deep into principals for effectively serving in a helping capacity. It explores the complex dynamics of the helping relationship and is a foundational book in the field of Organization Development. I’m thrilled that I will have the opportunity to meet Edgar Schein in person – he’ll be spending time with my cohort during our final graduate school session. 3. 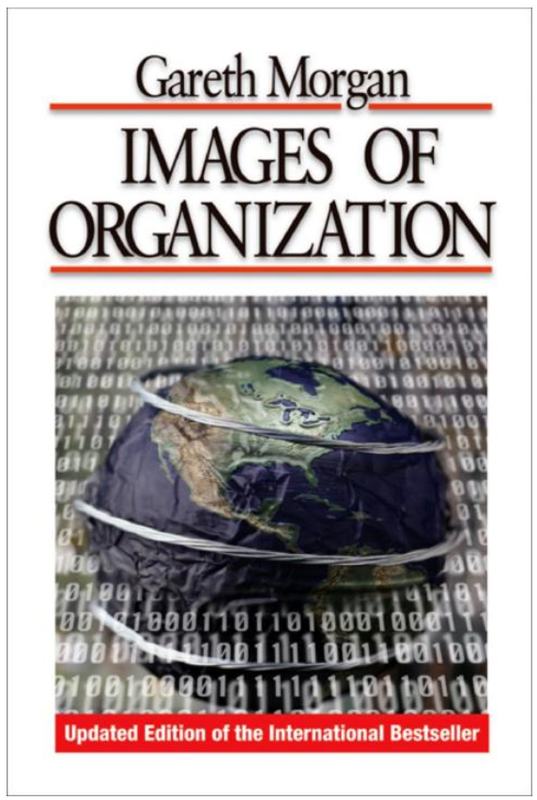 Images of Organization (Gareth Morgan) This book uses different metaphors as a lens to understand the dynamics of organization (machine, organism, brain, culture, political system, psychic prison, etc.). It’s a powerful way to conceptualize the complexities of organizations and a helpful tool for sense-making. 4. 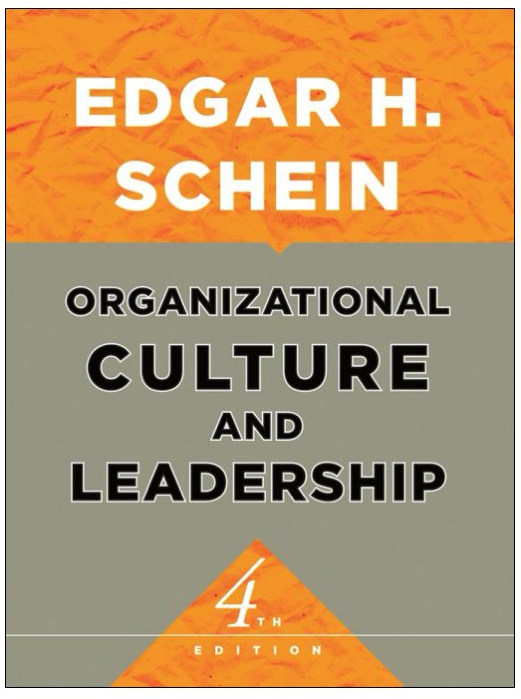 Organizational Culture and Leadership (By Edgar Schein): This book helped me better diagnose various organizational cultures I interact with by helping me decifer artifacts, values and norms from the clients I serve. The book also notes the pivitable role leaders play in shaping organizational cultures by noting what they do and don’t pay attention to. 5. 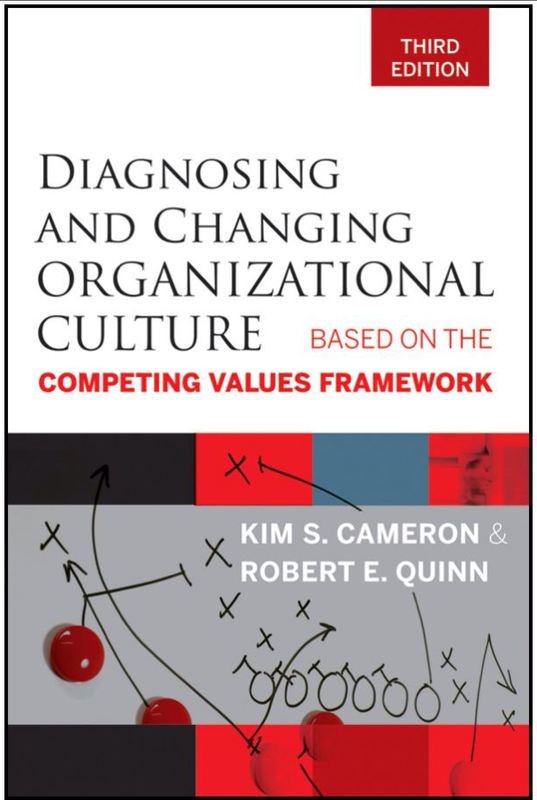 Diagnosing and Changing Organizational Culture: Based on the Competing Values Framework (Kim S. Cameron & Robert E. Quinn): This book lays out a framework for understanding four different kinds of organizational culture. It’s a helpful tool to understand why assumptions can be so different based on different organizational contexts. The book also lays out a process for changing an organization’s culture. 6. 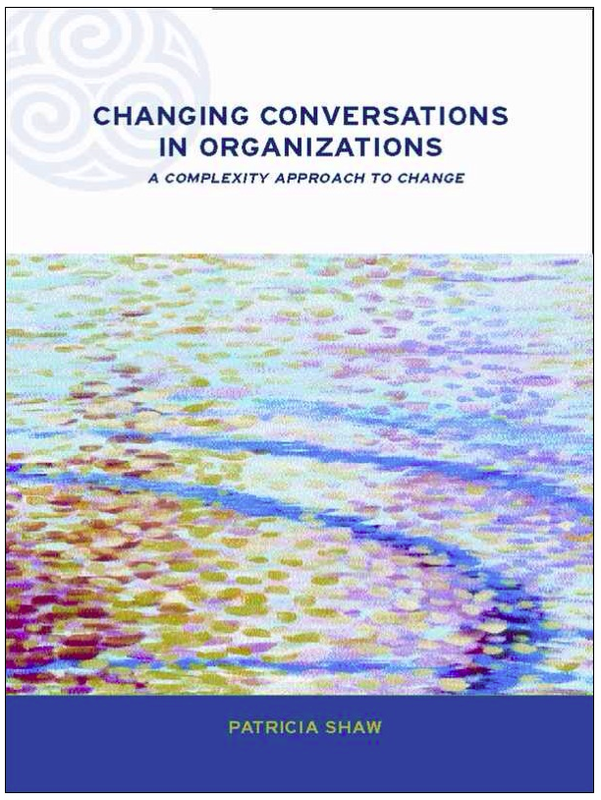 Changing Conversations in Organizations: A Complexity Approach to Change (Patricia Shaw): This book blew everything I thought I knew about facilitation out of the water. She challenges the concept of a neutral facilitator and is skeptical of traditional models of change for organizations, including those shared by Edgar Schein in Process Consultation. Rather, she notes that dialog itself is the key towards making change reality in organizations, which is an ongoing, emergent, complex process. 7. 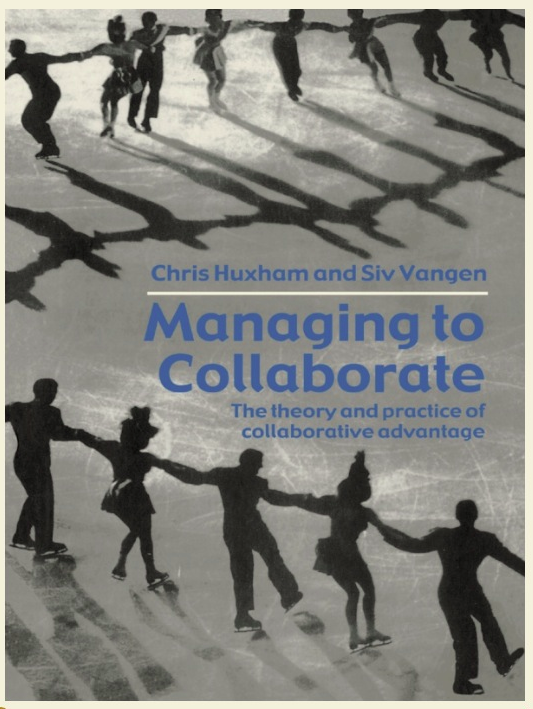 Managing to Collaborate: The Theory and Practice of Collaborative Advantage (Chris Huxham & Siv Vangen): This book dives deep into the complexity of collaboration and proposes a theory to manage themes around power, membership, identity, trust, goals and negotiation. More than most other books and articles on collaboration, it also explores the role of the collaboration manager, which wound up being the focus of my thesis. This book also informed my own professional development as a collaborative leader. 8. 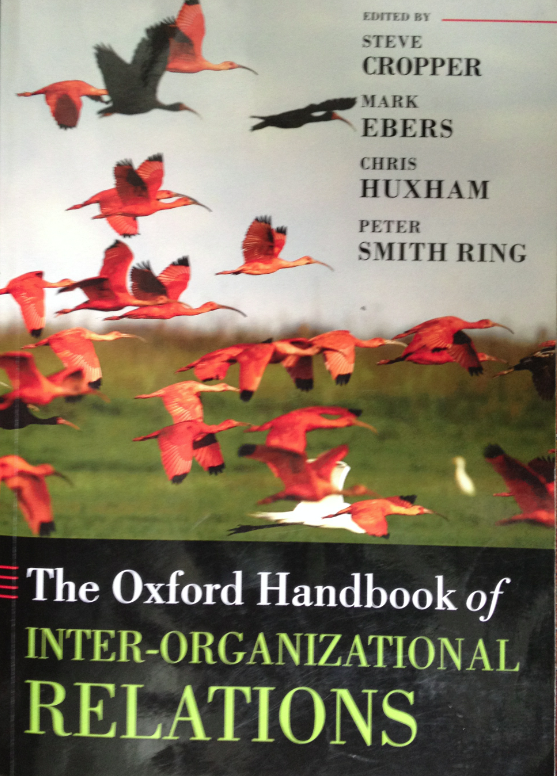 The Oxford Handbook of Inter-Organizational Relations (Cropper, Ebers, Huxham & Smith Ring): This whopper of a book informed my thinking as I wrote my thesis on manager influence on collaborative change initiatives. It explores key topics including trust, power, social capital, learning, change, intervening and evaluation, among many other things. I also recommend Collaborating by Barbara Gray to read one of the early works on the topic and Six Degrees: The Science of a Connected Age by Dunan Watts if you want to learn the science behind networks. 9. 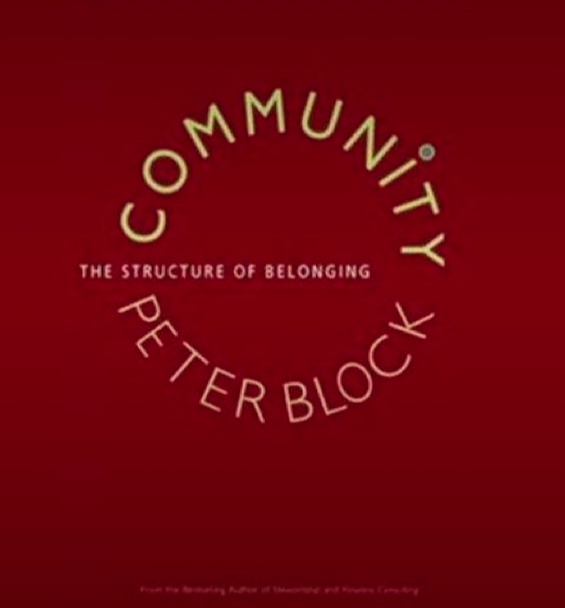 Community: The Structure of Belonging (Peter Block): I thought I knew a lot about community before reading this book, but Peter Block took it to the next level. He shares different ways in which we can all take the lead to create the communities we desire through invitation, dialog and action. 10. 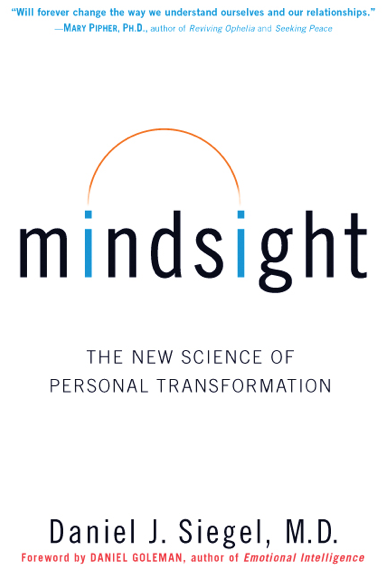 Mindsight: The New Science of Personal Transformation (Daniel Siegel, M.D. ): So much of our work as Organization Development practitioners comes back to the concept of ‘self as instrument’. When I go in to serve a client, the more aware of my own assumptions, patterns and ways of seeing the world, the more effective I will be. This book takes a neuroscience based approach to help us understand how our own mind works. By deepening our own awareness, we are in a better position to lead and shape a more positive future both for ourselves and the communities we live in. A related book that could also be on this list is Your Brain at Work by David Rock. 11. 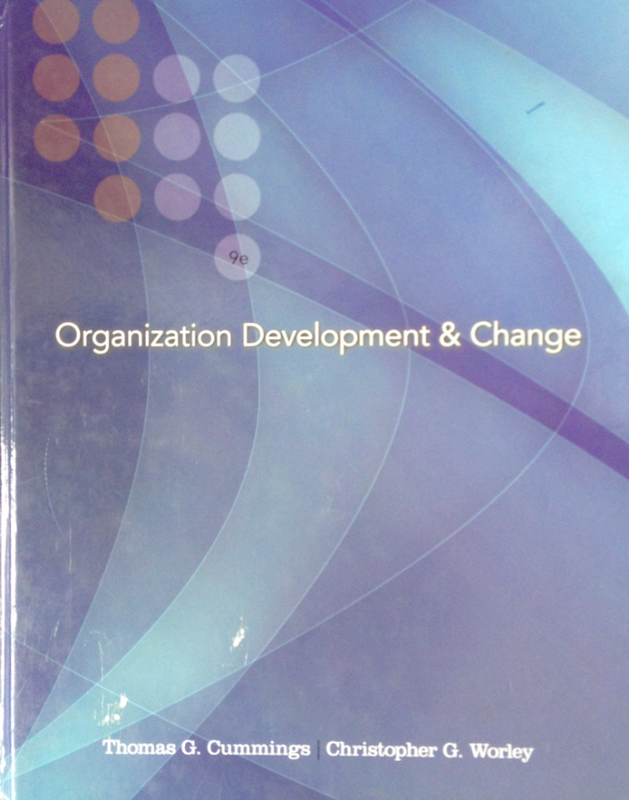 Organization Development & Change (Thomas G. Cummings & Christopher Worley): For those that want to read the definitive textbook on Organization Development, this is the one! Co-written by one of our professors, Chris Worley, it serves as a high level overview to the field, to theories around change, best practices for the OD practitioner and a variety of interventions. Happy reading! If you wind up reading anything and want to discuss, I’m happy to speak with you. If you have any recommendations, I welcome your suggestions. This entry was posted in Sustainability and tagged #Nonprofit, #NPLA, Board Development, boards, Collaboration, Community, Leadership, Leadership Development, Sustainability, Team Building. Bookmark the permalink.